This software offers a solution to users who want to find and replace in many text files. Simply drag and drop files or entire folders of files. Filter your queue with 'remove entries containing/not containing x. ' then find and replace by single instances or by multiple instances. When modifying multiple instances, you can save and load 'sets' of find/replace words. 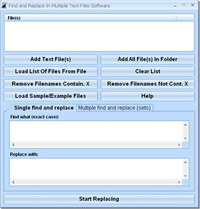 Find and Replace In Multiple Text Files Software is an utility that works under windows xp, . Estimated download time for Find and Replace In Multiple Text Files Software on a common adsl connection is less than a minute. 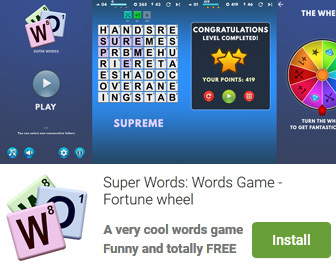 Version 7.0 was released four thousand seven hundred ten days ago by Sobolsoft. Click the green download button to download it now.